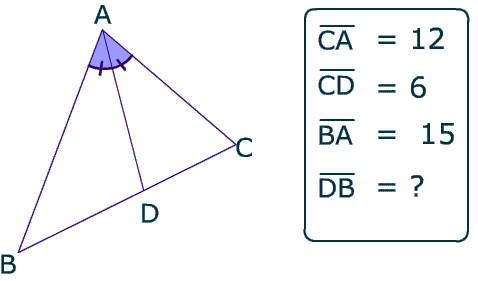 ﻿ The Angle Bisector Theorem. 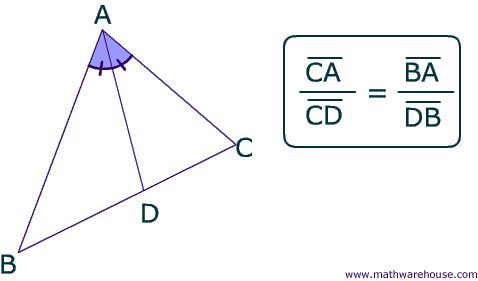 How a bisector creates proportional sides of a triangle..
Answer: As you can see in the picture below, the angle bisector theorem states that the angle bisector, like segment AD in the picture below, divides the sides of the a triangle proportionally. The picture below shows the proportion in action. Is side AB an angle Bisector? Look at the measurements of the side lengths below to help you decide. 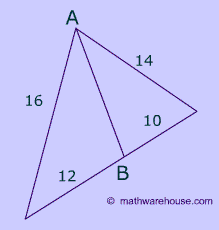 AB is an angle bisector if it divides the triangle proportionally. 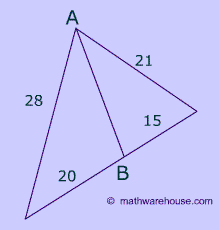 AB is not an angle bisector because it does not create two proportional triangles . How about side AB below? Is it an angle bisector? AB is an angle bisector if it divides the triangle proportionally.. 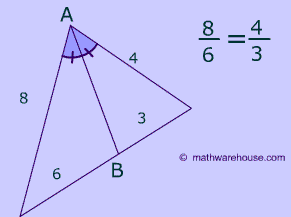 Yes, AB is n angle bisector because it divides the triangle proportionally. 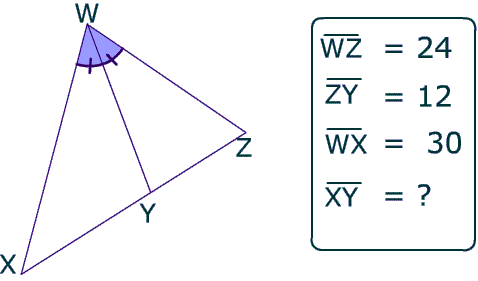 What is the length of XY in the triangle below?